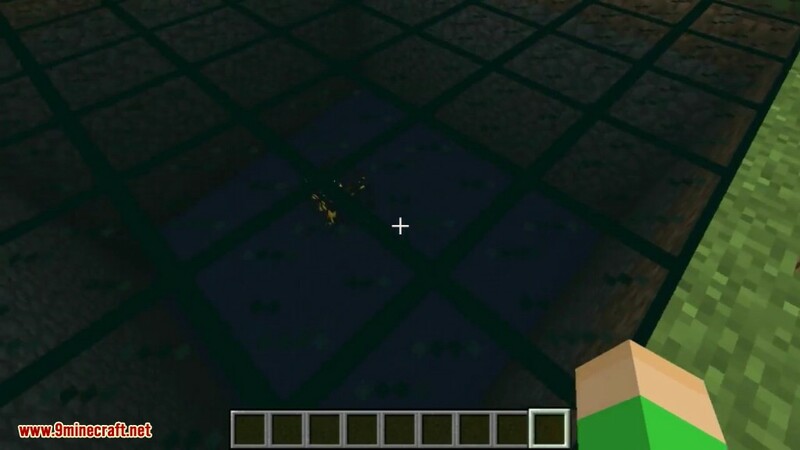 Carbonado Ore Mod 1.13.2/1.12.2 adds a new ore found inside bedrock both in the overworld and the nether. It’s pretty rare. It’s recommended to use TNT to find it but don’t worry, it’s blast proof. 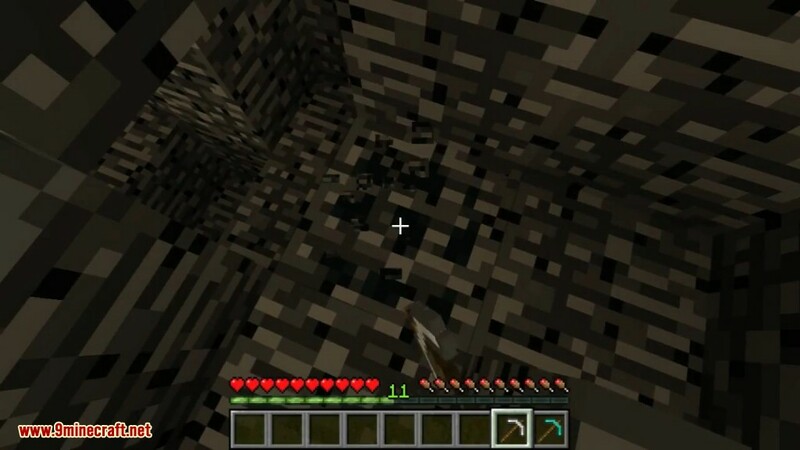 The ore can be mined only with a Diamond Pickaxe (or any other tool that has the Diamond Pickaxe or more mining level). Carbonado is a new ore that is 50% stronger than Diamond. It’s rarer too and can only be mined from bedrock with a diamond pickaxe. 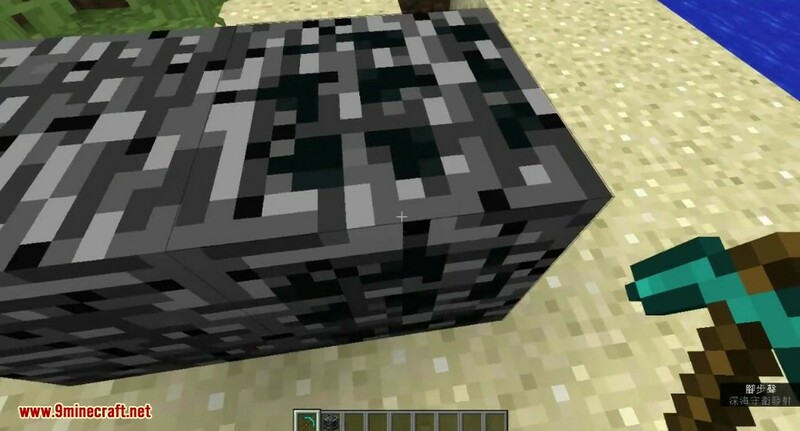 Not all bedrock blocks contain the ore but the ones that do have a slight texture difference. The ore will strip from the bedrock but the bedrock itself will stay in place. 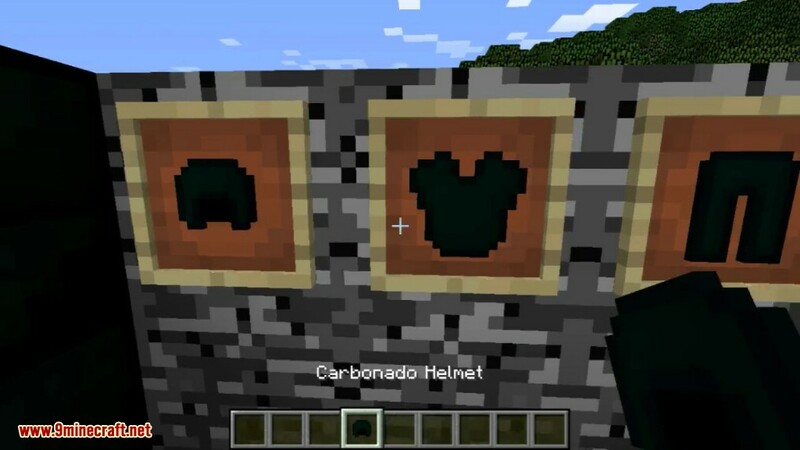 It can be crafted into armor and tools the same way other ores can, except these are noticeably more durable and jet black. 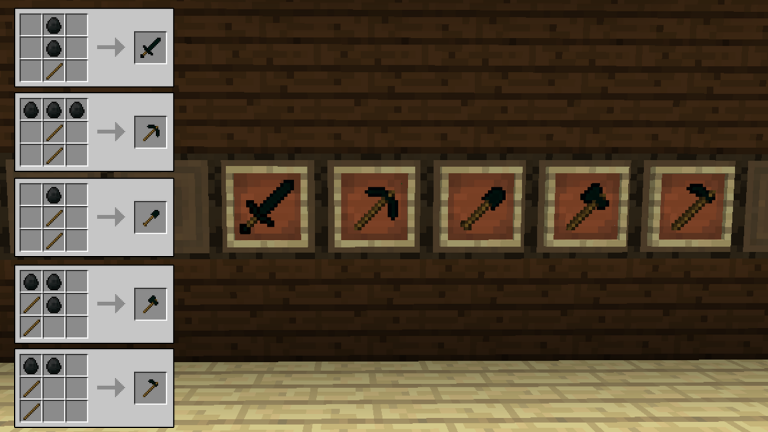 And the pickaxe, axe, and shovel are all 50% faster than diamond tools as well. 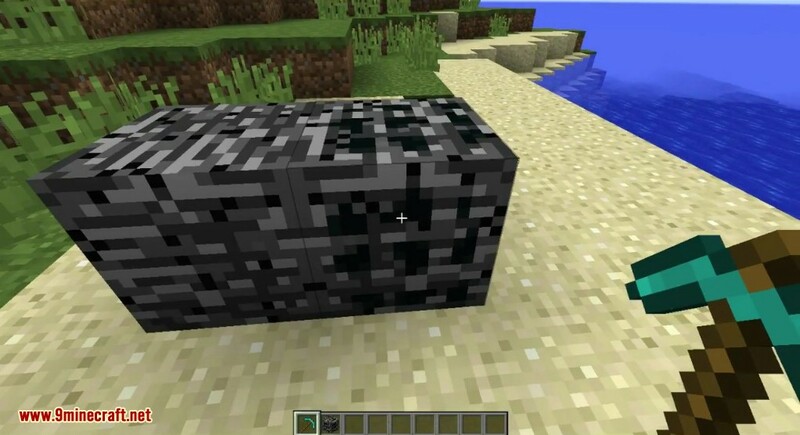 As the name suggests, the Carbonado Ore mod implements an ore called Carbonado into the game, and this particular ore is also often referred to as a Black Diamond which is why, in terms of statistics, it’s a fair bit similar to the diamond ore that exists in vanilla Minecraft. 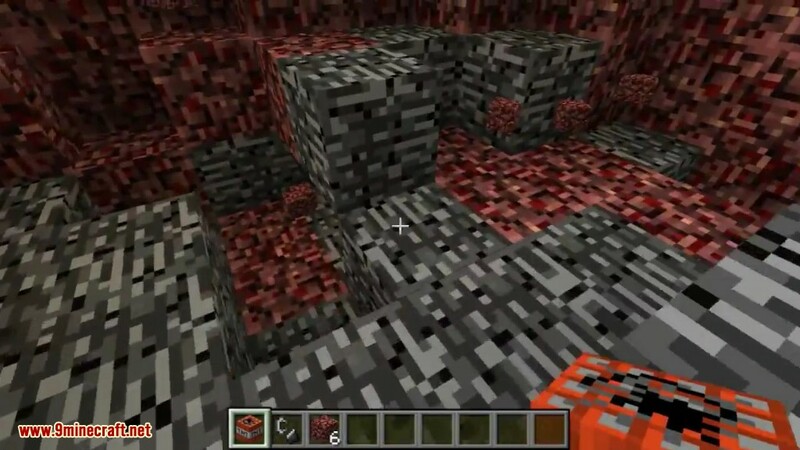 Mining the ore can be a bit of a challenge since it’s quite rare and is only located inside bedrock in the overworld and nether so you’ll have to go through a lot of dangerous places to get to it. It’s highly recommended that you use TNTs in order to locate it since it’s quite rare and is blast proof so the TNT won’t damage it in any way. There’s another neat addition to this mod and that’s Reinforced Glass. It’s not exactly blast-proof but it is stronger than normal glass. But the process of crafting it or rather obtaining materials is what makes it interesting. You have to place a Carbonado Block on the ground and then drop an anvil from a height of 12 blocks or greater onto it. This will create Carbonado shards that can then be smelted down and crafted into reinforced glass! And the glass blocks out a significant portion of sunlight as well. The Full Armor set has 24 Armor Points (20 in 1.10.2) in And 3 Armor Toughness. Durability is 50% more than Diamond. Every Tool has 50% more durability of a Diamond Tool (2343). The Axe has the same Attack Speed of a Diamond Axe (1.0) with more damage (10). Pickaxe, Shovel, and Axe are 50% faster than Diamond Tools. 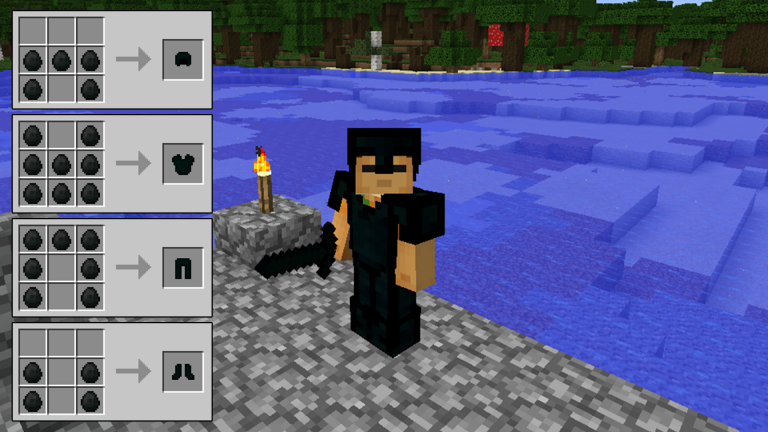 The Pickaxe is like a Diamond one so can mine Obsidian. Wither Skeletons have 5% chance (Increased / Decreased by Difficulty) to spawn left-handed with a Carbonado Sword. Carbonado shards are useful to create Carbonado Reinforced Glass. 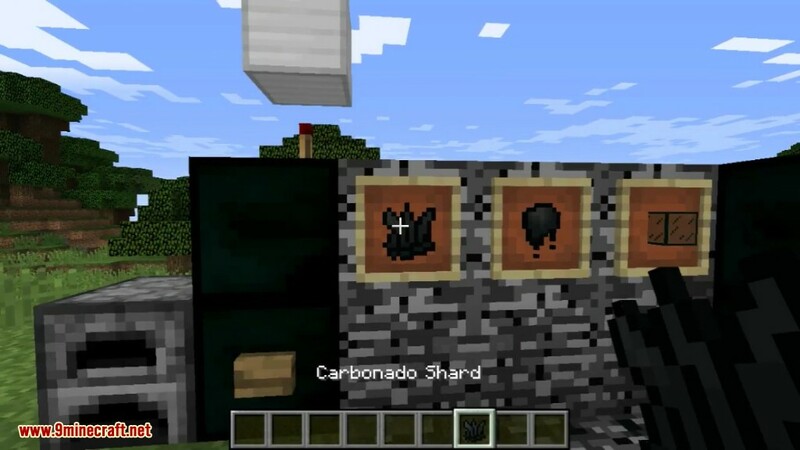 To get Shards you have to place a Carbonado Block and drop an Anvil on top of it from at least 12 blocks. From higher you drop it, more shards you’ll get. The base value is 2 stacks of shards with an anvil dropped from 128 blocks height, 32 from 12 blocks and 3+ stacks from 254 blocks. A good height is 128, but higher is always better. Now cook those shards, you’ll get Molten Shards. One Molten Shard in the center plus 8 Glass around, you’ll get 8 Carbonado Reinforced Glass. Carbonado Reinforced Glass has the same properties of normal glass but has more explosion resistance than normal glass and doesn’t let some light pass. 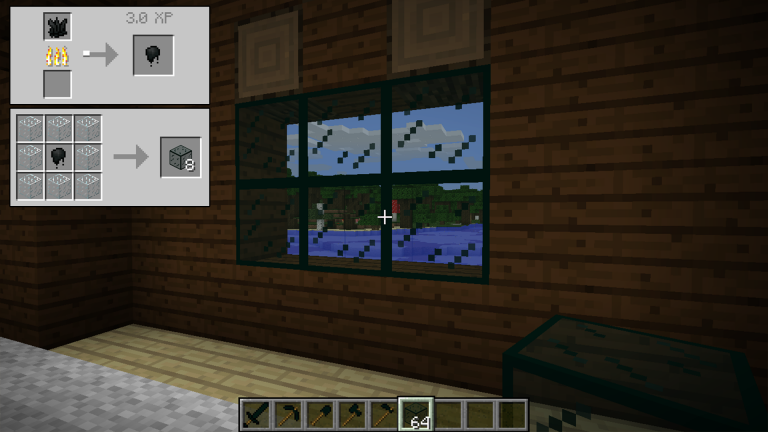 The mod has advancements that help the player learn the mod (recipes properly unlock too). The Tinted Window advancement will reward you 100 experience points on completion. The Even more dedication advancement will reward you 300 experience points on completion.